Vancouver Whitecaps were frozen off the scoresheet by Philadelphia Union as the 2017 MLS season kicked off with a lacklustre scoreless draw that saw both sides muster only six shots on target between them and only one of those came from the ‘Caps. The Whitecaps were unable to carry the momentum from their CONCACAF Champions League win over New York Red Bulls on Thursday night and had to settle for the single point, as their attack suffered from a lack of telling final balls and a pure number 10 on the pitch to deliver them. Both David Ousted and Andre Blake picked up clean sheets but neither were really tested enough to earn the honour. 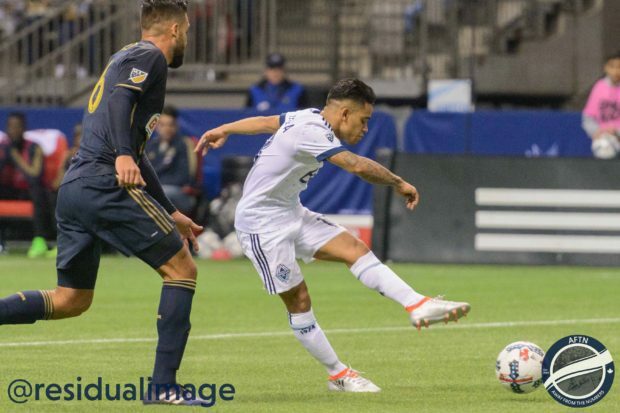 Vancouver showed attacking spurts, but apart from a Cristian Techera shot that was pulled wide, the Whitecaps produced little of note in a first half that produced peaks and troughs actionwise. 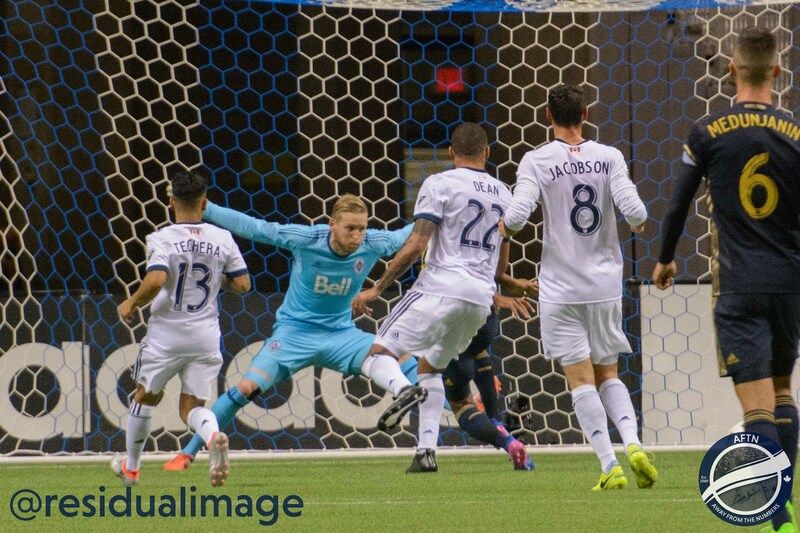 The Whitecaps had their best chance on the night in the second half when Jordan Harvey’s superbly struck volley, off a corner kick, was cleared off the line by defender Keegan Rosenberry. There were a number of bright spots for the home side with Alphonso Davies continuing with his strong play in the attack as well as the return of Christian Dean from a wasted 2016 season that he spent on the shelf with multiple injuries. Those two were the standouts in an subpar team performance that was so different from that of a few days earlier. The Whitecaps will now head to Northern California as they look for their first win against the San Jose Earthquakes.